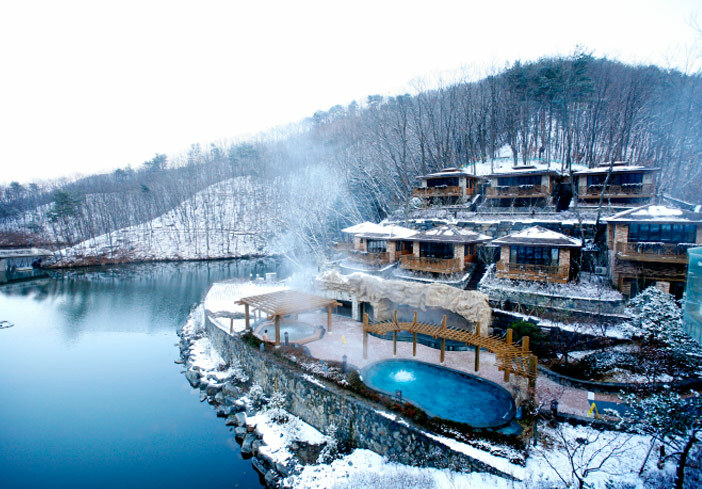 Winter Trips to Korean Hot Springs and Spas! 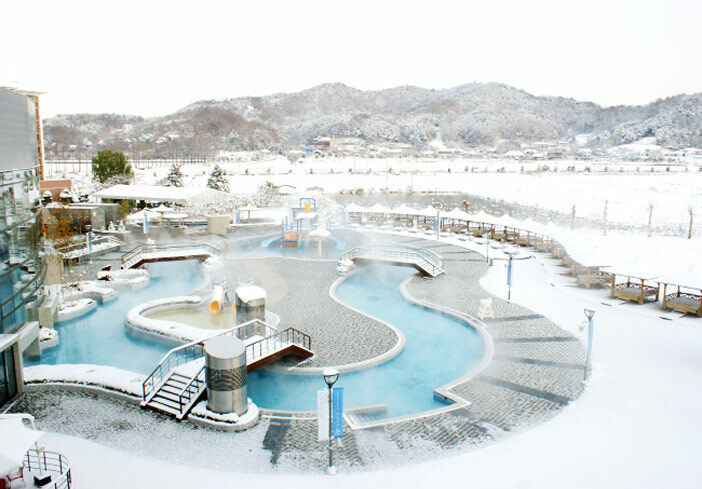 Spas and hot springs are popular attractions during winter in Korea as visitors can soak in soothing, warm water. Most adults prefer hotels with spa and massage facilities for a relaxing vacation whereas families seek hot springs with water park facilities to meet the needs of all family members. Pick one of the top recommended hotel spa facilities and water parks to enjoy a warm winter! The Guerlain Spa is a joint venture between French cosmetic company Guerlain and Korea's upscale Hotel Shilla. Staff members analyze the body condition and lifestyle of each client in order to develop and implement a personalized spa plan. Guerlain Spa offers various water-based spa treatments in addition to an array of massage programs, including facial and body treatments. After completing a spa program, visitors can also try on a variety of cosmetic products at the Guerlain Makeup Bar. ☞ Directions: Dongguk Univ. Station (Seoul Subway Line 3), Exit 5. Walk approx. 7 min. ☞ Fees: Vary depending on massage hours and available programs. Refer to the official website for details. ※ Reservation around 7 days in advance via phone is advised for spa programs. ※ Availability of foreign language assistance will vary by staff work schedule. The Marquis Thermal Spa at JW Marriott Seoul uses urban hot spring water and all-natural, high-quality organic massage ingredients. The spa’s Well-being Program is based on a combination of traditional Korean massage techniques and Western spa therapy. This top-notch facility employs only the most skilled professional therapists, providing visitors with the ultimate experience in relaxation. ☞ Directions: Express Bus Terminal Station (Seoul Subway Line 3, 7, 9), Exit 7. Walk approx. 2 min. ※ On-site registration is available, but making a reservation 3-4 days in advance via phone is advised. 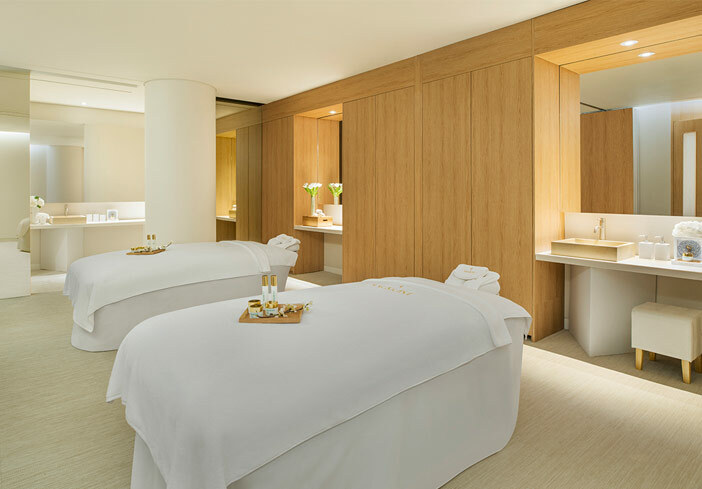 Designed as a “garden in the city,” Grand Hyatt Seoul‘s The SPA offers high-quality hotel spa services at comparatively affordable prices. Customers receive a program that is personally designed to suit their preferences and physical condition, choosing from traditional treatment, detox cleansing, soothing massage or the variety of other programs available. ☞ Directions: Hangangjin Station (Seoul Subway Line 6), Exit 1. Walk approx 16 min. 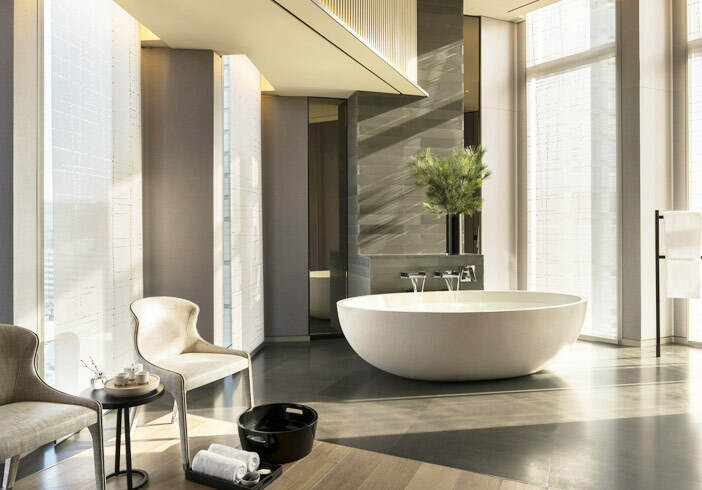 VISTA Walkerhill Seoul, Walkerhill Seoul’s newly opened hotel, offers a luxurious spa experience at V Spa, using outstanding products from the Swiss brand Valmont. 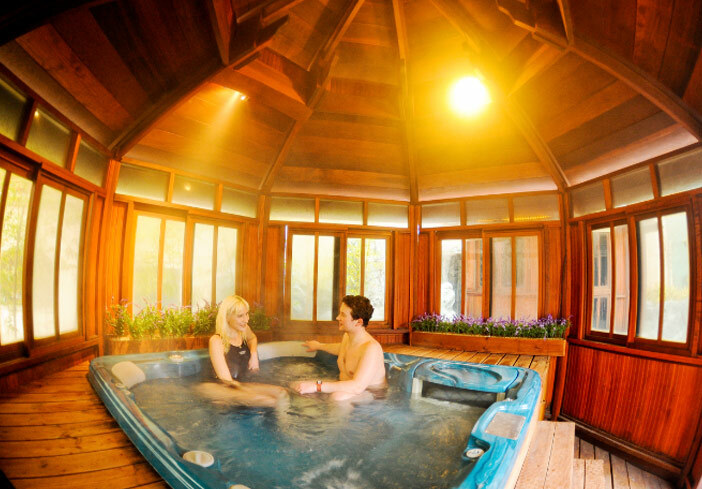 The spa features a total of twelve rooms, including single-person rooms and rooms for couples. Guests will enjoy personalized care for the best in spa service. ☞ Directions: Gwangnaru Station (Seoul Subway Line 5). Take a taxi for approx. 5 min. ※ On-site registration is available, but making a reservation 7 days in advance via phone is advised. Banyan Tree Spa is one of the top luxury spas in Asia and is famous for its range of massage and spa services, which are inspired by ancient Eastern treatment methods. 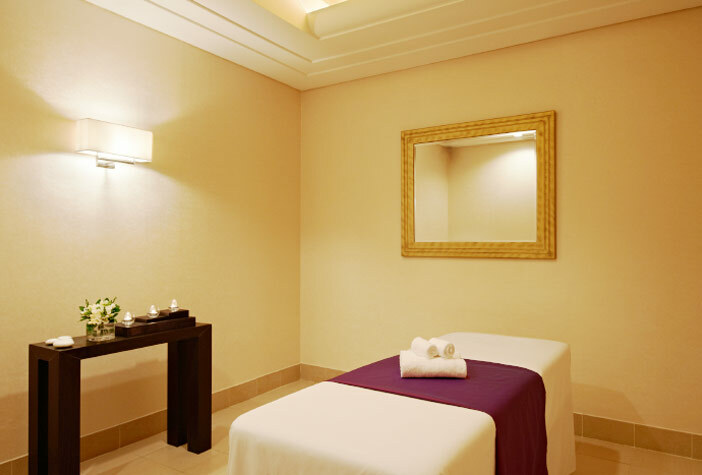 The spa features 11 treatment rooms, with private bathrooms and rest areas attached to each room. The rain mist suite room in particular offers the unique spa experience of a tropical mist. All treatments focus on offering a pleasing experience to all five senses. 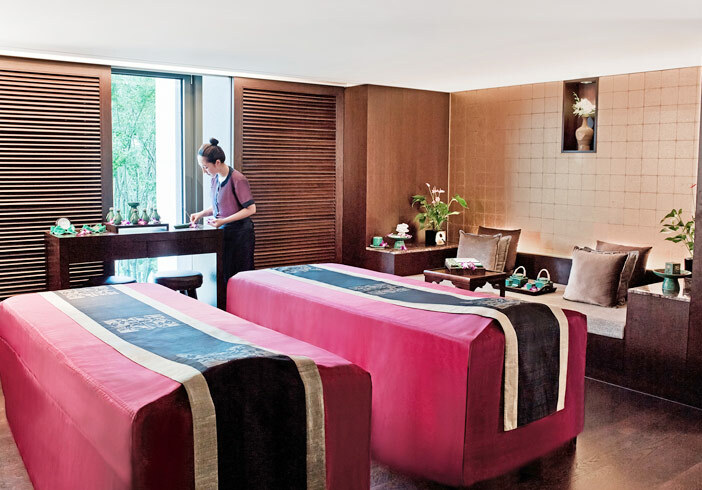 Treat yourself to Banyan Tree Spa’s top massages and facial treatments! ☞ Directions: Dongguk Univ. Station (Seoul Subway Line 3), Exit 6. Walk approx. 16 min. 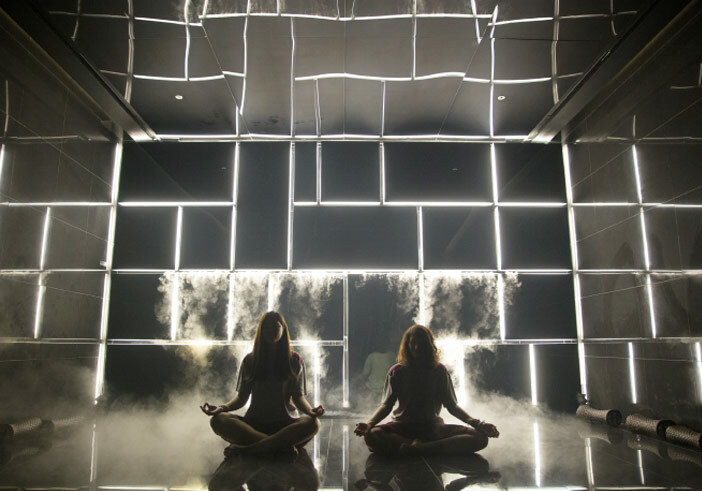 The spa at Four Seasons Hotel Seoul uses a mix of classical therapy and modern trends in their treatments to find the equilibrium of guests’ body and mind. All treatments, including body massages and facials use essential oils and healthy components extracted from plants. The hotel offers a plethora of treatments, including the highlight spa that varies with each season, signature treatment of a relaxing day at the spa, personalized special treatments, and more. ☞ Directions: Gwanghwamun Station (Seoul Subway Line 5), Exit 7. Walk approx. 5 min. Cheongkwanjang SPA G is a spa facility launched by KGC (The Korea Ginseng Corp.), the leading producer of high quality hongsam (red ginseng) products under the brand name Cheongkwanjang. Cheongkwanjang SPA G is known for their Hongsam Energy Spa that offers special care treatments for beauty and the immune system alike, making one’s skin feel soft and toned after the treatment. Spa programs include single programs for body, face, back and foot, as well as package programs for various treatment courses. - Daechi Branch: Samsung Station (Seoul Subway Line 2), Exit 2. Walk approx. 5 min. - Myeong-dong Branch: Euljiro 1(il)-ga Station (Seoul Subway Line 2), Exit 5. Walk approx. 5 min. ※ On-site registration is available, but making a reservation 4-5 days in advance via phone is advised. Spa Land is located within Shinsegae Centum City, allowing urban dwellers to enjoy a relaxing spa experience along with shopping. This traditional Korean thermal spa uses two kinds of water: carbonated spring water from 1,000m deep underground, and salt spring water from 560m below ground. Spa Land has 22 bathing pools including a children's tub, 13 themed jjimjil-bangs (Korean saunas), and an outdoor foot spa area, making it the perfect place for the whole family to relax and enjoy. ☞ Directions: Centum City Station (Busan Subway Line 2), Exit 12. Walk approx. 5 min. ※ Admission will be extended to a six hour basis when spending over 10,000 won within the spa. Dragon Hill Spa is a large jjimjil-bang & spa facility offering the chance to try a variety of sauna experiences at a great price. This eight-story facility is equipped with a wide range of amenities, including themed saunas, spas, massage rooms, and open-air bathing pools. 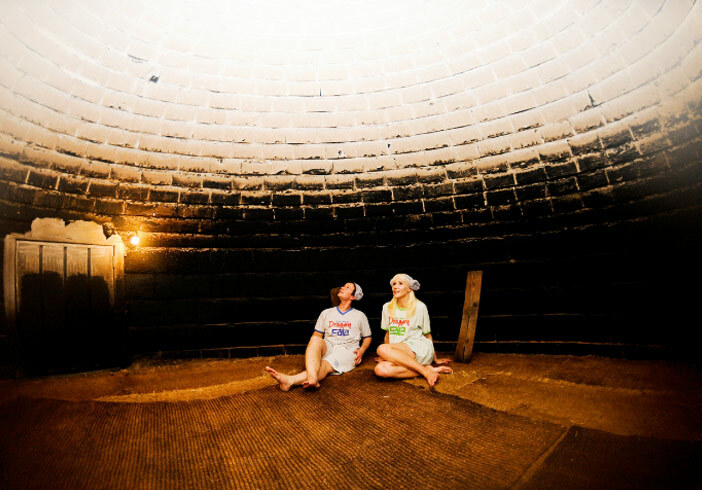 Most notably, the spa features a grand, decorative interior and a large hardwood charcoal sauna, which is heated and scented through the use of traditional oak wood burning. Other facilities include a swimming pool and a fitness center. - Yongsan Station (Seoul Subway Line 1), Exit 1. Walk approx. 3 min. - Sinyongsan Station (Seoul Subway Line 4), Exit 3. Walk approx. 5 min. Aquafield is located inside Starfield Hanam in Hanam, Gyeonggi-do where one can refresh both body and mind. Aquafield offers a water park and sauna and spa facilities to entertain visitors. The water park is especially popular thanks to the infinity pool. A variety of additional pools are prepared for ages to enjoy and sauna rooms built in different themes, such as charcoal, yellow clay, cypress tree, salt, and clouds, offer much to see and experience. ☞ Directions: Paldang Station (Gyeongui-Jungang Line). Take a taxi for approx. 10 min. Seorak Waterpia is located within Hanwha Resort Seorak, putting it in close proximity to the East Sea and Seoraksan National Park, one of Korea’s most popular travel destinations. 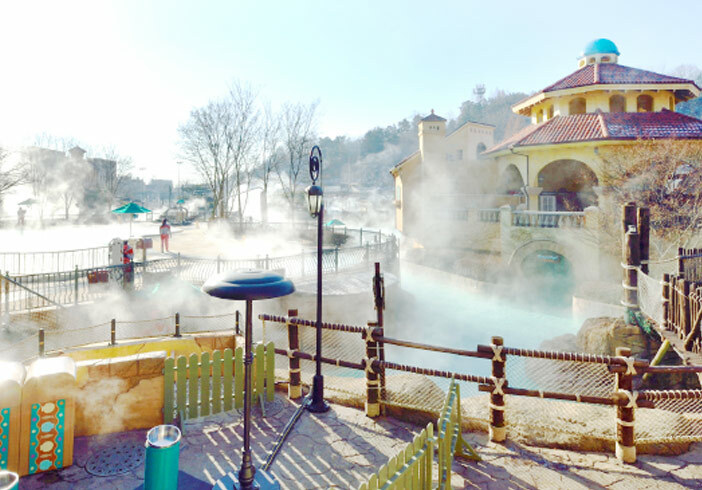 Seorak Waterpia is a year-round spa theme park that features spa facilities supplied with 100% all-natural hot spring water, and new and exciting water rides. Thanks to its natural water quality, this spa was designated as a health spa. Another draw for Seorak Waterpia is that all of its water park attractions are supplied with thermal spa water. It also has various entertaining attractions such as an indoor wave pool and outdoor spa facilities. ☞ Directions:Take a taxi for approx. 15~20 min. from Sokcho Intercity Bus Terminal or Sokcho Express Bus Terminal. 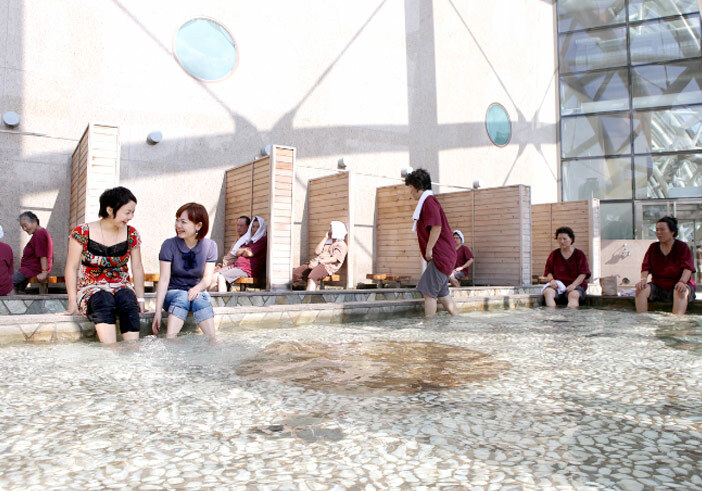 Paradise Spa Dogo is located in Asan, a region that has long been famous for its hot springs. The spa's alkalescent water that is extracted from 300m deep underground contains sulfur and is known to be highly effective for brightening skin, smoothing wrinkles, and preventing hair loss. A gigantic bade pool equipped with massage jets is another highlight feature here, proven to offer countless health benefits through its streams of bubbles emitted to spa bathers. Swimming in thermal spa water is not only great for your health, but also a fun activity in combination with the spa's myriad of sauna facilities and variety of water rides. Resom Spa Castle is a four-season recreational spa facility known for its multicultural water therapy theme, combining the benefits of European, Southeast Asian, Japanese and American spa treatments. Chunchunhyang, one of the most famous spa facilities in Resom Spa Castle, is said to make your skin healthier with its 40-49 degrees Celsius germanium hot spring water. The spa complex has a super-sized waterslide, wave pool, lazy river, walking path, and much more. There are over 20 different indoor and outdoor pools including a green tea pool, sulfur pool, and herbal pool. (Central City Terminal (Honam Line)→Deoksan Spa (Resom Spa Castle)): First bus 07:10, Last bus 20:30 / Travel time approx. 1 hr 30 min. Caribbean Bay is a tropical-themed water park that features an indoor swimming pool, hot springs, saunas, and an outdoor lazy river. 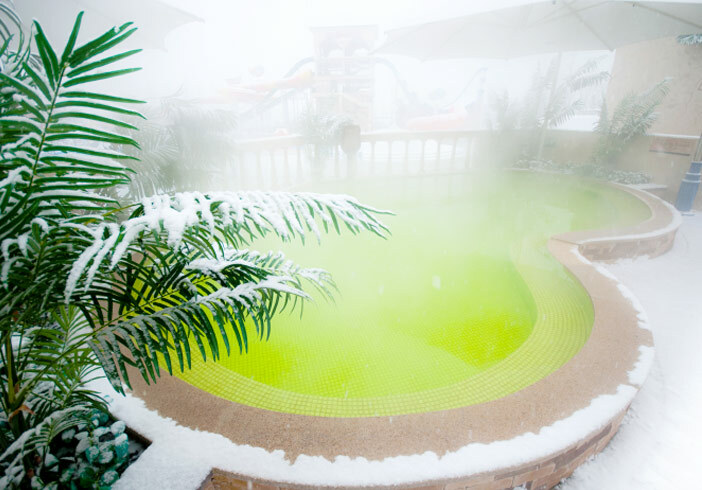 As the largest water park in Korea, it employs the latest spa technology and provides visitors with a unique combination of heart-pounding rides and relaxing spas and saunas. ☞ Directions: Jeondae∙Everland Station (YongIn Everline), Exit 3. Take the shuttle bus from Parking Lot No. 5. ※ Hours change frequently; please refer to the website before visiting. ※ Fees subject to change; please refer to the website before visiting. With a theme of an oasis in the middle of the Egyptian desert, Vivaldi Park Ocean World’s facilities are divided into 5 main areas – Indoor Zone, Wave Pool Zone, Extreme Zone, Dynamic Zone, and Megaslide Zone. Visitors can enjoy a variety of pools and slides and relax at the therapy center and sauna rooms at the Indoor Zone as well as go for an adventurous thrill ride on a 2.4m gigantic wave at the Extreme Zone. (Dong Seoul Bus Terminal→Vivaldi Park): First bus 09:19, Last bus 17:05 / Travel time approx. 1 hr 10 min. ※ Hours subject to change depending on period of the year. ※ Fees may vary by period and operating hours. Phoenix Blue Canyon is an ideal location for enjoying the fresh mountain air and pristine water coming from Gangwon-do’s mountain terrains. The water park's design is based on the deep blue of the Mediterranean Sea. Among the water park's many exciting amusements is the nation's first indoor-outdoor waterslide. The slide starts inside, but through a series of twists and turns, ends up making its final drop into a pool outside. Located next to the water park is Phoenix Snow Park, one of the main hosting stadiums for the upcoming Olympic Games. - (Seoul Nambu Terminal→Janpyeong Bus Stop): First bus 07:00, Last bus 19:20 / Travel time approx. 1 hr 50 min. ※ Approx. 15min. by taxi. ※ Fees subject to change depending on day of the week and period of the year. Asan Spavis is a health-based water park that offers water therapy and a spa bath that contains all-natural organic ingredients such as sodium bicarbonate, beneficial in reducing cellulites, and helpful in regenerating important body cells. It also has an outdoor water park that has exciting slides and other fun activities. ※ Hours may differ for other facilities. ※ Fees subject to change depending on time and period of the year. 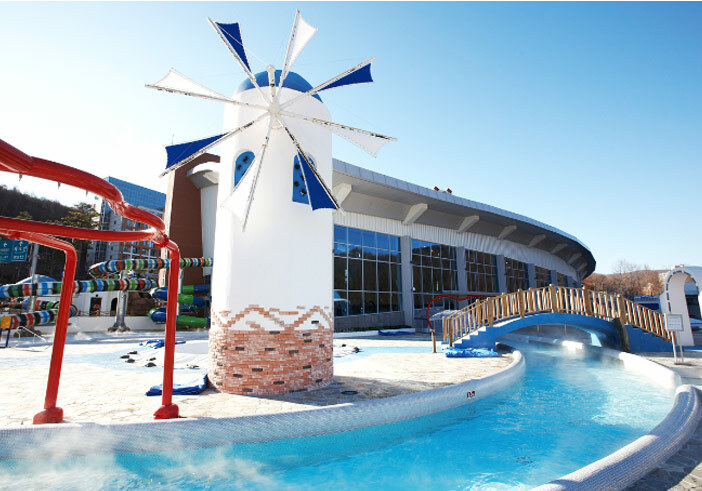 Daemyung Resort Cheonan Water Park was created based on the theme of the Norwegian Vikings and European culture, taking its inspiration from places such as Venice, Italy; Santorini, Greece; and Santa's Village in Finland. 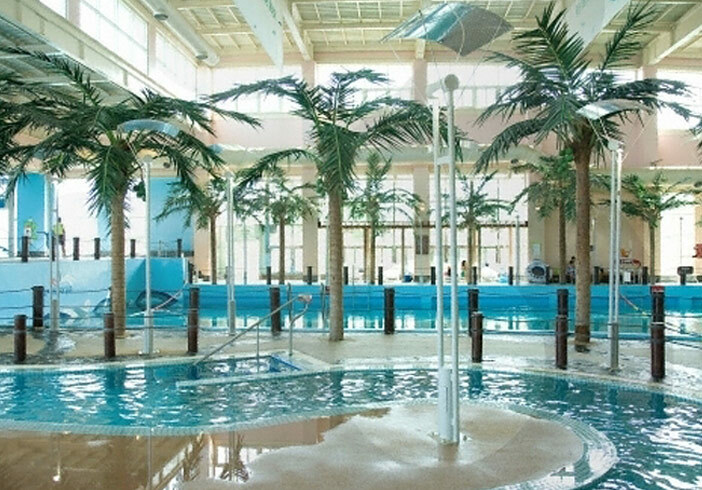 The resort has a wide range of pools using the top quality hot spring water piped from Cheonan. More health benefits are added by carbonating the water, increasing the calcium, potassium, magnesium, and mineral contents. Visitors will immediately feel the difference in their skin becoming smoother and silkier after a dip in these pools. Moreover, there are indoor/outdoor pools available throughout the year, open-air pools, and an array of indoor waterslides.